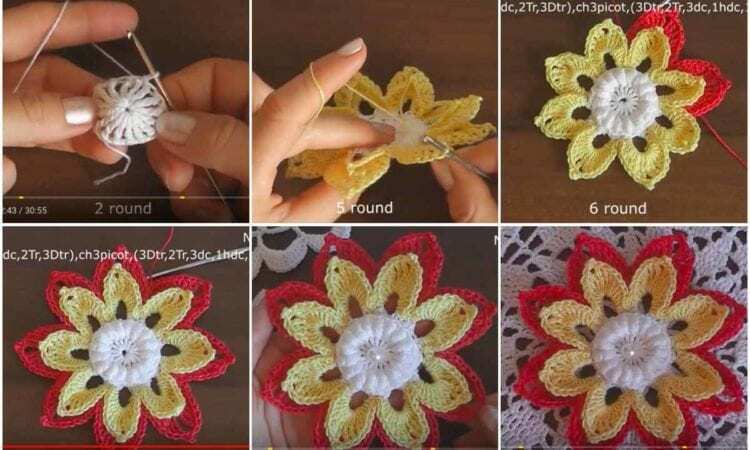 This flower pattern gives you lots of possibilities for use. Although the pattern is 3D, it is rather flat, so it will be perfect as an accent in any other crafts or decorations. Please follow our video tutorial carefully. There, you will additionally find the pattern, which is simultaneously displayed on the screen. The link to the video tutorial is below. For more ideas and free crochet patterns join our Facebook group.